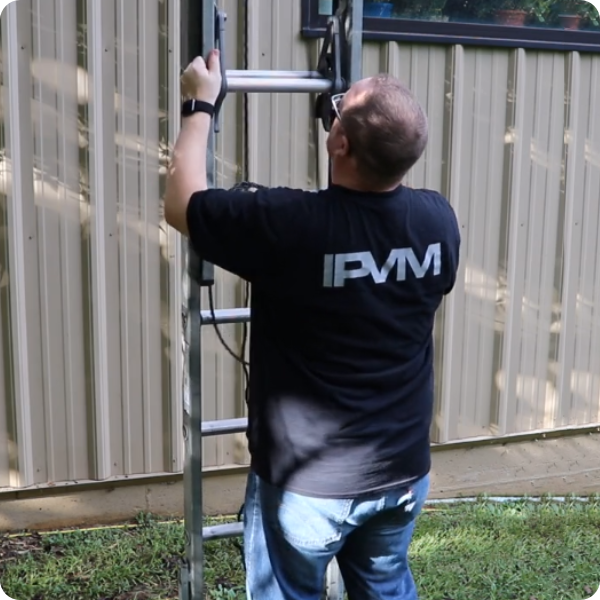 Ladders are one of the most important pieces of worksite equipment for the surveillance technician. Too often, however, even highly experienced technicians are using old or defective ladders in an unsafe or inefficient manner. As the Occupational Safety and Health Administration (OSHA) states, "Falls from portable ladders (step, straight, combination and extension) are one of the leading causes of occupational fatalities and injuries. This guide will show you how to choose the right ladder for the job and how to use it safely, whether you are a brand new apprentice or a crew supervisor. This continues our installation for IP cameras series and builds towards our upcoming Video Surveillance Installation Course. As well as variants of each. We review these types below. Most common are step ladders, which consist of an A-shaped frame with steps for rungs on one side (or rarely both sides). They are available in many sizes, from small 2' step stools to high reach ~20' models, and are popular for their ease of use and often, but not always, lighter weight. They are best for heights ~16 or less, but may also be necessary when lifts or extension ladders are not an option, such as servicing a ceiling mounted camera at ~20', not uncommon at big box stores. 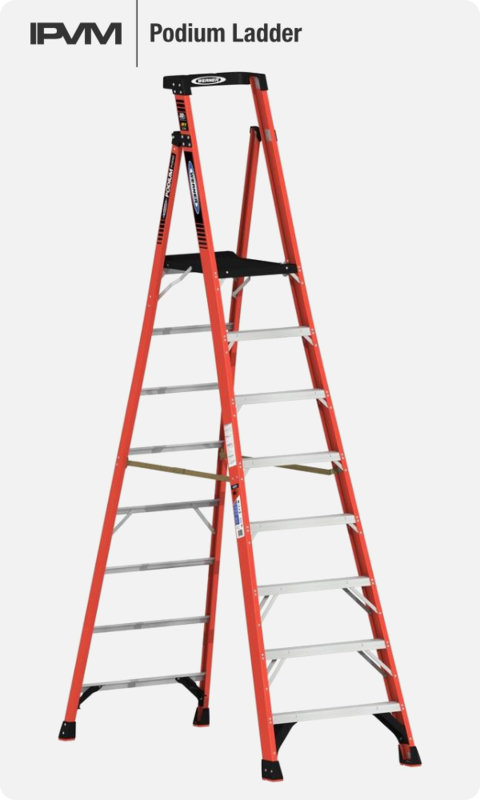 In addition to standard step ladders, there is a less common variant call the podium ladder, which removes steps in order to create a larger work platform. This allows users to work in all directions, including behind them, not (safely) possible on a stepladder. 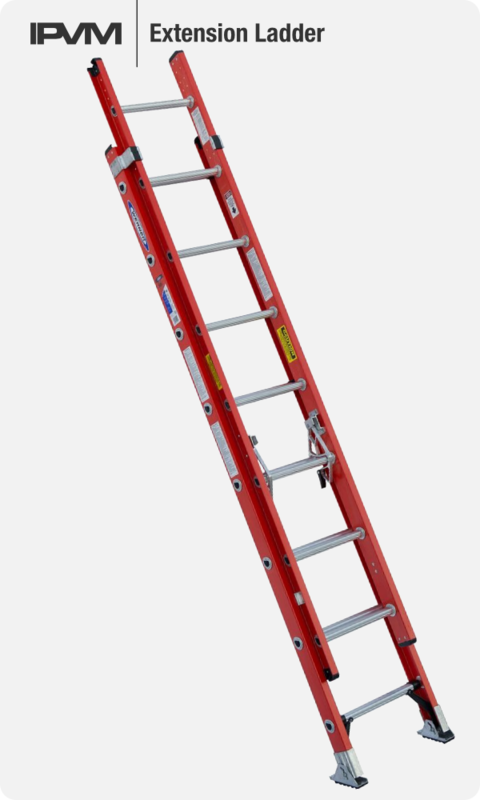 Extension ladders are used when greater reach than step ladders provide is required. They are typically made of two (or more) sections. Bed: The bed section consists of round (not flat) rungs attached to a beam, and composes the base of the ladder. Fly: The fly section is the bit that extends from the bed section when you pull the rope (called the halyard). The halyard is threaded through a pulley. Rung locks lock the fly into place and prevent it from moving so that ladder can be climbed or moved. 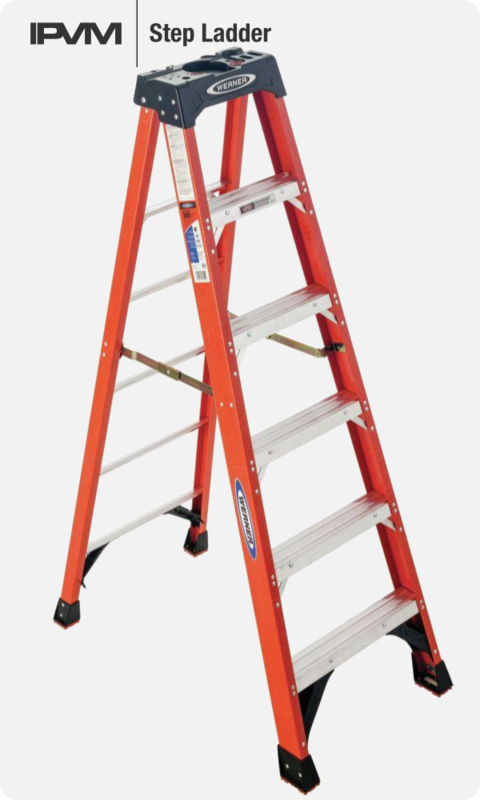 The bottom of the ladder has a moving assembly with a flat, non-slip surface called the foot pad as well as spikes called teeth or cleats. Extension ladders are best for heights between 16' and 32', beyond that lifts are recommended. Setting the ladder at too steep an angle may result in kick out, where the feet / bottom of the ladder slide away from the wall. Conversely, setting the ladder more straight up and down with the feet too close to the wall can result in the user falling backwards away from the building. ******* *** *** ** *** **** ********* ****** ** ******** equipment *** *** ************ **********. *** *****, *******, **** ****** experienced *********** *** ***** *** ** ********* ******* ** ** unsafe ** *********** ******. ** *************** ****** *** ****** ************** (****)******, "***** **** ******** ******* (****, ********, *********** *** *********) are *** ** *** ******* ****** ** ************ ********** *** injuries. **** ***** **** **** *** *** ** ****** *** right ****** *** *** *** *** *** ** *** ** safely, ******* *** *** * ***** *** ********** ** * crew **********. **** ********* *** ************ *** ** ******* ****** *** ****** towards *** ************* ************ ************ ******. ** **** ** ******** ** ****. ** ****** ***** ***** below. **** ****** *** **** *******, ***** ******* ** ** *-****** frame **** ***** *** ***** ** *** **** (** ****** both *****). **** *** ********* ** **** *****, **** ***** 2' **** ****** ** **** ***** ~**' ******, *** *** popular *** ***** **** ** *** *** *****, *** *** always, ******* ******. **** *** **** *** ******* ~** ** less, *** *** **** ** ********* **** ***** ** ********* ladders *** *** ** ******, **** ** ********* * ******* mounted ****** ** ~**', *** ******** ** *** *** ******. In ******** ** ******** **** *******, ***** ** * **** common ******* **** *** ****** ******, ***** ******* ***** ** order ** ****** * ****** **** ********. **** ****** ***** to **** ** *** **********, ********* ****** ****, *** (******) possible ** * **********. ********* ******* *** **** **** ******* ***** **** **** ******* provide ** ********. **** *** ********* **** ** *** (** more) ********. ***:*** *** ******* ******** ** ***** (*** ****) ***** ******** to * ****, *** ******** *** **** ** *** ******. ***:*** *** ******* ** *** *** **** ******* **** *** bed ******* **** *** **** *** **** (****** *** *******). The ******* ** ******** ******* * ******. **** ***** **** *** *** **** ***** *** ******* ** from ****** ** **** ****** *** ** ******* ** *****. The ****** ** *** ****** *** * ****** ******** **** a ****, ***-**** ******* ****** *** **** *** ** **** as ****** ****** ***** ** ******. ********* ******* *** **** for ******* ******* **' *** **', ****** ********* *** ***********. ******* *** ****** ** *** ***** ** ***** *** ****** in **** ***, ***** *** **** / ****** ** *** ladder ***** **** **** *** ****. **********, ******* *** ****** **** ******** ** *** **** **** the **** *** ***** ** *** **** *** ****** ** the **** ******* ********* **** **** *** ********. ****** ******** *** ******, ***** **** **** ** *** **** of *** ******. ***** ******** *** *** **** **** **** ******** ***. **** palms ****** **** ***** *** **** ***** **** **** ****. ** **** ****** ****’* ***** ********, **** *** ****** **** further **** *** ****. ** *** ****** ***** *** ****, **** *** ****** **** closer **. *******, *** **** **** ** **** *** ****** ******* ** about * ** ****** *****. *** ***** ***** ************ **** along **** ****** ******** *** ******. ** *** **** ** *********, **** *** ****** *** ****** by ******** *** ****** ** ***** **** ******* *** ******* of *** **** **** ***** ******* **** *** ***** **** both *****. ** ** ********* ** ********* *** **** ***** * **** ** *** ** ******* *** ******.  ************ ******* *** * *********** ** **** *** ********* *****, and *** ***** **** ******** (* ***** ** ******** ********* use). *******, ****** ** ********* **** *******, **** * *** reach ** ***** **'. ************ ******* *** **** ****** ***** legs, ** *** *** ** **** *** ** ****** ** the ****** ***** ******* ** ****** ** ******, *** ******** with ***** ****** *****. *** **** ********* ** *********** ******* ** **** **** ****** the ****** ** ******* *******, * ******* *** ***** **** smaller ******** **** ** ******* *****. *******, **** *** ******* as **** ** **** ** **** ******* ** ** ****** when ******** ** ********* *******. *** ******* ************ ** *********** ******* ** ***** ***** ******, generally ******** **% ** **** **** * ******* ****** **** or ****** ******. *** ***** ****** ***** ******** **** * burden, ********** **** ******* ***** ********* **** ******* ** **** vans. **** **** ******* *********** ******* **** **** ****** *****, **** need ******* ********** *** **** *********** **** ****** *******. ********* ******* *** **** ***** **** ** ************ ******. **** ** their ********* ***** ************* *** ********* ************** * ******* ************ ladder ** ******* **. Which ****** ** **** ** ***? ******:*** ******* ******* ****** ********. **** **** ******* ****** ** the ******** ****** ** *** ****** (*** *** ****** ******) added ** *** ********** ******. **** ********:*** ***** ** **** ******, *********, *****, *** ********* ***** will ** ** *** ****** ** * ***** ****. ********:**** *** ****** ** **** **, *.*. **********, ********, *****, wood, ***. ** ** ******** ** ********* ****** ** ** ***** ** the ******* ****** ** **** ****** ***** ****. **** ** the ******* ****** ***** ** ** **** ** *****, ********* marked **** "** *** ***** ***** **** ****", ** ***** on *** ****** ***** *****. ********** ****** *** *** *** *** ****, *** ***** ** the *** ** *** ****** ** ** ** *** ****. The *********** ******* ******** ******, ******* ******, *** ****** ****** are *********** *****. ******* *** ****** **** * **** ********, **** ***** ** duty ******. **** ** *** ******* ****** ***** *** ** safely ******* ** *** ******. **** **** **** ******** *** only *** ****'* **** ******, *** *** ***** ** ********* being *******, ** ****. ******* *** ********** *** *** ********* **** ****** * ** above (***** ** *** ***** *****). ********************* ** ***** * ****** ***** ** *** ***** ** support ***** ******, ** ** *** ********. ***** *** *** ****** ********* *** ******* ** ********** ***, fiberglass, *** ********. **********: ********** *******' **** ********* ** **** **** *** ******** and **** ******, **** **** ****** **** ******** *******. ************, they *** ***-********** *** ***** *** *** ****** ***** *****. However, **** *** ******* *** ********* **** ****** **** ******** ladders. ********: ******** ** ******* *** ***** ****, *** ********* *** a ***** ****** ******. ** *** **** *** ** ******* on ******* **** *** **'* ************ *** ******* ********** ********. While ** ** ****** ** **** * ****** ******* ********** or ******** **** **** ******* **** ************ ******* *** **** be ********* ** ********. ************, **** ******* ********** ****** *******, **', ******** *** ** *** **** ******** available. *******, ** **** ******, ***** *** ** * **** preferable, ***** ******. **** **** ****** *** ***** ******* *** ***** *********, ** well, *** *** ********* **** **** ** **** ***. ****** ladders *** ***** *** ***** ** ***********, ***** ******* ***** usefulness, ***** ***** ** ********* ******* ** **** ******* *** to *** ******. What ******* ****** *** *****? *' ** *' **** ******* *** ** *** *** **** common ****** ** *** ** ********** ********, ** **** ***** the **** *********** ** *****, ******, *** ***************. *** ******* ********, **-**' ********** **** ******* *** ******, ** they ******* ********* ********* ** ******* ******* ******** ******** **** mounting ******* *******. *** ***** ********* ****** ** **** ******* ******* ** ****** points, ******** ********* ******* ***** *** **** ********** ******* ****** and ****** *** *** **** ****** ** ****** **** ********** extension ******* ** **** ******. ** *** ****** ** *************** ** ********* **** ****** **** running ******, ** *********** ****** *** ** ****** **** ******** multiple ******* ** ** ******** *** ******** ***********. **** ******* ******* **** ** ****, *** ***********. **** *'+, especially **********, **** *********** ****** *** **** ** ** ******* with *******. ***** **** ********* ****** *** *********** ***** ** extension ******, *** *** ****** ***** ** ***** ** ********* ladder ********. **** ******** *** ****** ******* **** *** ****** ** *** base ****** *** ****** **** **** ******** **** *** **** it * ****** ** ****** *** ** *** ******. ** balance *** **** ***-******** ****, ******* * **** ** *** fly **** **** ******. *** *** ****** ** ****** *** with *** **** *******, ** ***** *****. **** **** **** *** ** ***** *** ****** **** *** fly *** ** **** ** ***** ******* *** **** *** climb **. ***** ****** *** *****. ****** ************* **** **** you ** ***** *** ****** **** *** *** **, ****** the ********. **** ***********, ** *** ***** *** ****** *** in, *** *** ***** *** ****** ***** ******* *** *******, which ** ******* ** ********** ****** ******* *** ***** *********. ** ******* * ***** ** ******* ******* ** ****-* ******* with ******* ****, **** ******* *** ********, ***** ** * sampling ** ****** ****** (******). ****** ******** *** ******, **** ** * ***** ****** ********** to **** **** ******* ** ******, *******, ** **********. ** any ** ***** ********** *** *******,do *** use the ladder, as it may be drastically weakened. Second, make sure nothing on the rungs will make you slip or fall while climbing. **** * ****, ***** *** ****** *****: ******, ******** ****, footpads, *****, *******, *****, *** *****. **** **** *** ****** parts **** ******, ******* ** ***** ** ******, **** *** side ***** ** ***** *** *** *******, ******, *******, ** discolored. ****** ***** ****** ** ********** **** ***** *** ******. Halyards ****** ** ******** **** **** ***** ** **** ***, or ****** **** ** *******. *** ** *** ******* (** **********) *** *** ** ***** staff **** **** **** * **** *** * ******. ** was ** **** **** ** ** ******, ****** ** *** back ** *** ****. ** ****'* ******* * ******. * ***** **** ** ***** **** *** *** *** **** a ********* ******* ****. *** ** ******** *****. * ********* ****** *****. *** ****** do **** ** **** ** * ******** ******** *** *** then. ** ****** **** **** *** ** ********* *** ********** ************ in **** ********** ** *** ***** *** *** ** ****** use * **** ****** **** *' ** *' ******* ***** tied ***. ** **** ************ ******* ** **** **** ** lately ****** *** *** ***** **** *** *** ******* ** with * *' ****** **** *** **** ** *** * lift. **** ** ****** ********* ** **** **** ******* * project *** ****** ************ ** *** ****. *** ****** *** price ** * **** ** **** *** ***** **** * small ***. **** *********** *** *** ** ********* ******* ** becoming **** **** ********** ** **** *****. ********* ******* ** *** **** **** ** **** ******* **** you *** ******* **** *******. **** ****** ****** ******** ***-********** ladders. **** **** ******** ******* *** *** **** ****** ******. ***** types *** ********* **** ***** ************ ***** **** *** * Little *****. * **** ** ***** * ****** ***** *** over *** *****. **** ******** *** **** ******** *** *********. There ** * ********** ******* ** ****.